I have permission to post this amazing display of talent displayed by my friend Rachel. She decorated the white dryer balls herself for the ultimate personalized gift for the lovely people on her "nice" list. Amazing!! In addition to the Union Jack, Rachel finished up her mum's trio of balls with a Cubs and Duke logo balls. Wow. 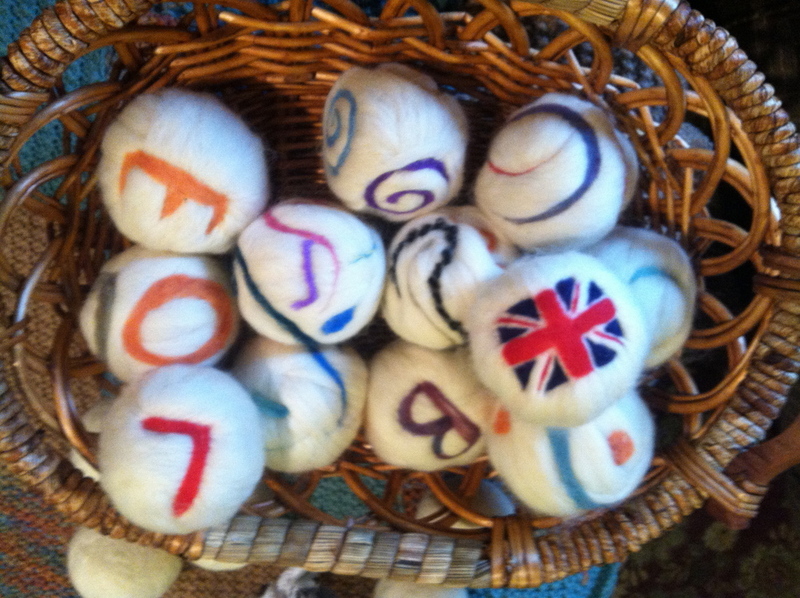 All Shecology dryer balls are made from local wool roving processed at Echoview Fiber Mill. That's in the USA! !